Master J is a Board Member of MTTA, Inc. president of Brother Help Thyself, a Baltimore-Washington community based foundation that awards grants to non-profit organizations to implement programs that benefit the GLBT and HIV/AIDS communities. 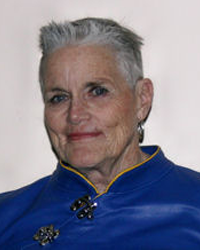 She served as president of BHT for several years until 2012. She was awarded the 2010 “Sir Steve” Community Service Award at the Master/slave Conference, the 2007 “Boyhood Award” from the DC boys of Leather, “Black Rose Community Elder Award” and the 2009 “Anthony Bachrach Award” for Outstanding Volunteer Service to the Gay and Lesbian Community. She is on the staff of the Master/slave Conference and the founding director of MAsT DC Pan. She is a Highwaymen TNT brother and a member of SigMa and Black Rose. She is a member of Master Taino’s Leather Family with the tile of “Senior Master”. At the Academy, she teaches the Table Service class at the slave Training Weekend.